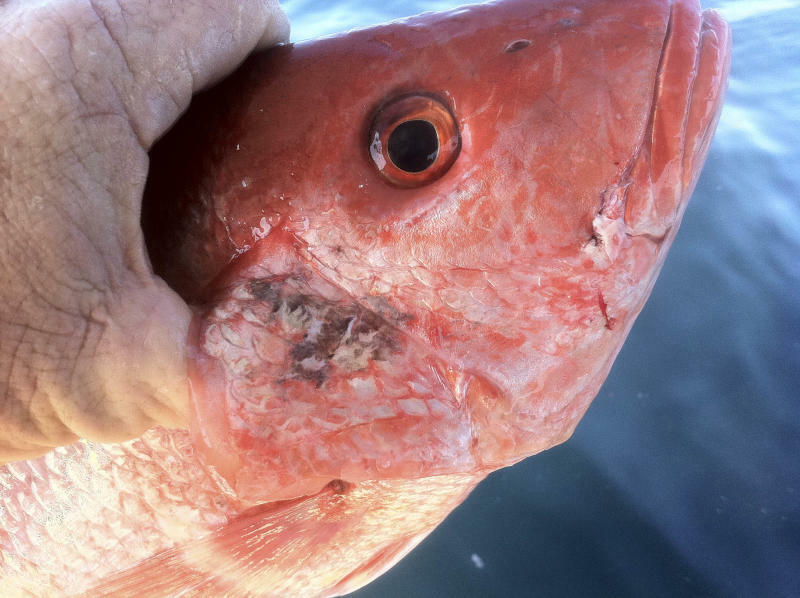 WASHINGTON (AP) — Photos of fish with sores may raise concern about long-term environmental effects of the massive BP oil spill — but federal health officials say the Gulf seafood that's on the market is safe to eat. After all, diseased fish aren't allowed to be sold, said Dr. Robert W. Dickey, who heads the Food and Drug Administration's Gulf Coast Seafood Laboratory. "It's important to emphasize that we're talking about a low percentage of fish," Dickey stressed. "It doesn't represent a seafood safety hazard." 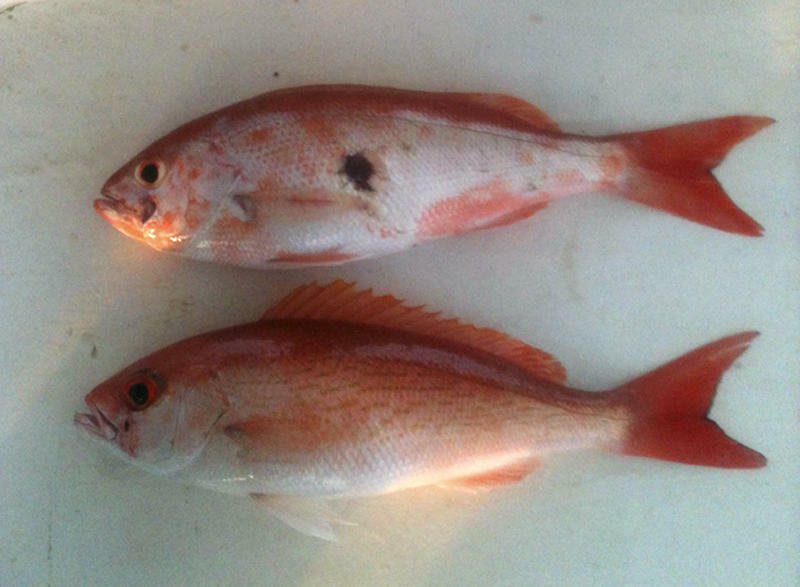 Two years after the oil spill, scientists cite lesions and other deformities in some Gulf fish as a sign of lingering environmental damage. They can't say for sure what's causing the fish ailments or if there really are more sick fish today than in the past. Q: What keeps sick fish off the market? A: Every wholesaler and seafood processor must follow longstanding FDA rules on what constitutes a safe and usable catch. 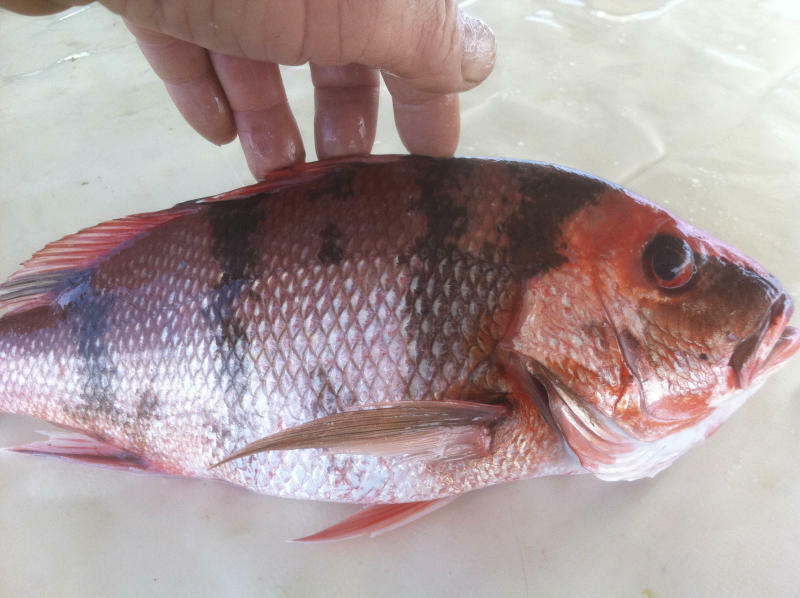 Fish with lesions or signs of parasites or other disease aren't allowed, Dickey said. Q: What about oil contamination that's not visible? A: Federal and state laboratories tested more than 10,000 fish, shrimp and other animals for traces of certain chemicals in oil to be sure they were far below levels that could make anyone sick before commercial fishing ever was allowed to resume. Gulf Coast states are continuing that testing today as a precaution. Some species clear oil contaminants from their bodies more rapidly than others, the reason that fishing resumed before the oyster harvest. The FDA says that someone could eat 9 pounds of fish or 5 pounds of oyster meat a day for five years and still not reach the levels of concern for a key set of chemicals. Q: But what about the oil compounds that scientists have reported finding in the bile of some fish? A: Bile shows what a fish recently ate, but the fish's digestive system goes on to process and eliminate contaminants so they don't build up in edible tissue, Dickey said. Q: Are there other reasons to pay attention to seafood safety? A: Definitely. A California company recently recalled some yellowfin tuna used to make sushi because it was linked to an outbreak of salmonella food poisoning. And every year, health officials warn people with certain health conditions to avoid eating raw oysters — they may be contaminated with the Vibrio vulnificus bacteria that typically is found in warm coastal waters between April and October.